Dr. Edward O’Dell and Mary Daniels, LRC-CMA are the founders of the Genesis Cosmetic Laser Center, which is the most comprehensive laser- and lipo-center of its kind in the Florence, Myrtle Beach, and Columbia, SC area. As co-founders of Genesis Cosmetic Laser Center, they are vConfidence approved physicians who are completely committed to empowering women to improve their feminine quality of life. 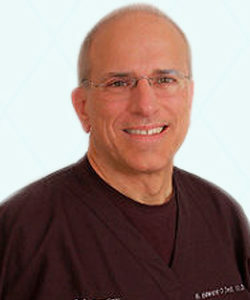 Dr. O’Dell, who has worked with many of the nation’s leading cosmetic physicians in Miami, Phoenix, Philadelphia, Dallas, and California, is our medical director and in addition to being highly skilled in Lipo-Sculpting, he has also developed the exclusive Genesis Signature Lipo-Sculpting Program, and he also teaches lipo and fat grafting procedures to visiting physicians from all over the country. Bringing over 30 years of experience, Mary Daniels LRC-CMA, is a Medical Esthetician who holds a Masters Certification in Laser Technology, in addition to being a Certified Laser Instructor, and a Certified Dermatician. For the absolute highest quality of care and an unsurpassed service approach with extraordinary cosmetic results at truly affordable prices, these are the reasons why Genesis Cosmetic Laser Center’s clients reads like a who’s who of prominent women from throughout the Carolinas, as well as neighboring states, including: Mrs. South Carolina America 2006, Jennifer Graham of Florence, Mrs. South Carolina America 2007, Barbara Graham of Myrtle Beach, Mrs. South Carolina America 2008, Kim Sullivan of Newberry, Mrs. United States 2009, Tammy Johns of Prosperity, SC and Mrs. South Carolina America 2012, Danyele Gardner, and we have been featured in numerous prestigious magazine covers, TV shows, and newscasts. We invite you to schedule a complimentary consultation with Genesis Cosmetic Laser Center so that you can discover all that we have to offer, including the absolutely latest techniques in vConfidence feminine care, so let our trained staff help you customize a treatment or skin care program that is just right for you.